Both reports are easy to read and can be bought separately or as a pair. Time saving – Ready made analysis to inform your curriculum planning. Reports ready to share with Senior Leaders, Governors and Ofsted. Single page views with clear graphs, charts and performance statements. Forensic analysis of different cohort groups throughout your school. Allows Evidence-based discussion about what intervention strategies are needed. 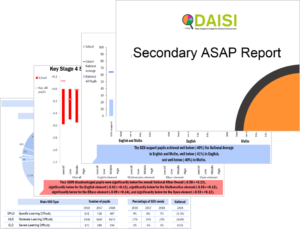 Your ASaP Summary shows your school’s Attainment 8, Attainment Thresholds (9-5 and 9-4), Progress 8 and EBacc Pillars attainment for your pupils overall and for your Low, Middle and High Prior attainers. 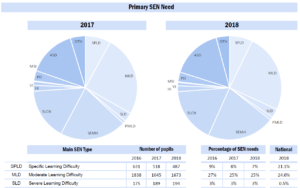 School Characteristics including absence and SEN, are shown through easy to read graphs and clear performance statements. 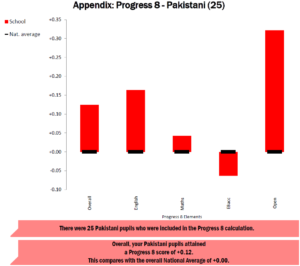 These immediately help you see the areas that are secure and the gaps to focus on. .
Pupil Analysis by Attainment 8, attainment thresholds (9-4 and 9-5), entry analysis, and Progress 8, divided into key cohort types, such as gender, disadvantaged, prior attainment, SEN and EAL. 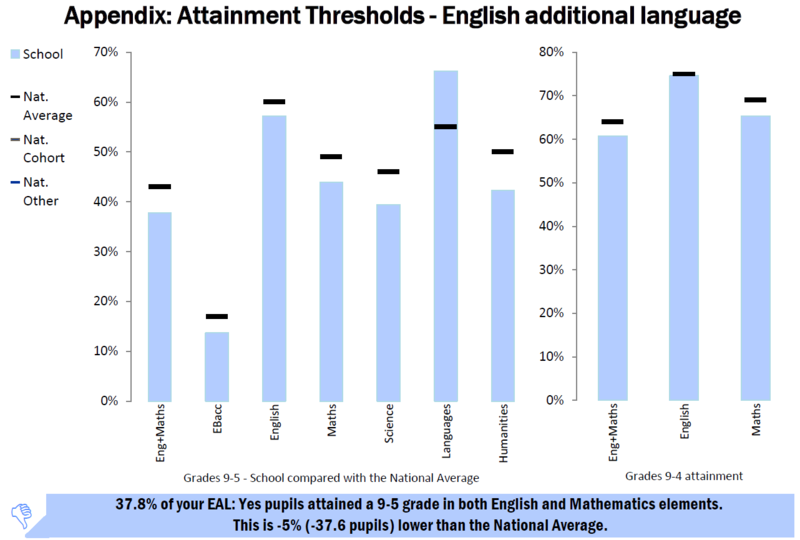 “Closing the Gap” Analysis shows the Attainment 8, Attainment Thresholds (9-5 and 9-4), Progress 8 and EBacc Pillars attainment for your disadvantaged pupils overall and for your disadvantaged Low, Middle and High Prior Attainers. Your A SaP Appendix report presents your data by cohort type – a feature not available in ASP. and each of your pupils’ ethnicities. All this is presented in one report. 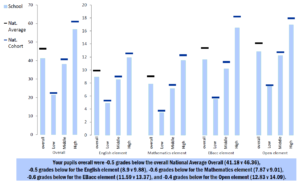 Each cohort analysis shows your pupils’ entries into the Attainment 8 elements and the EBacc, together with your Attainment 8 scores..
We also analyse your pupils’ Attainment Thresholds (9-5 and 9-4) and Progress scores. This cohort analysis saves you valuable time and is not available in the ASP. Both Reports have been created with Governors and Key Stakeholders in mind. Use to present your data in a simple way to Governors and school improvement partners to help them support you better. Perhaps most importantly you can use them to prepare for Ofsted as they are cross referenced to the Ofsted Inspection Data Summary Report (IDSR). Ordering is easy – just complete the order form. We will then ask you to download data from your school’s ASP online account and send it to us – it should take about 5-10 minutes. We provide two versions of your reports, one using your unvalidated data, and then a second report using your validated data. We can also create an alternative report based on your School’s Own Data, as opposed to the data within ASP. We aim to produce ASaP reports within 4 working days of receipt of your data. Online training is available, which takes you through the ASaP report and the Ofsted IDSR.